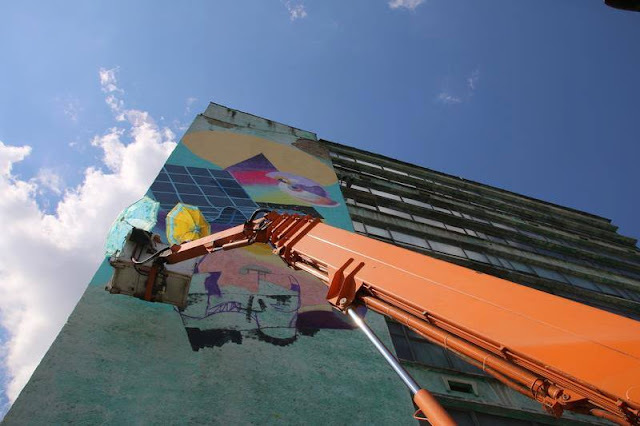 One of Muro and Txemy's biggest mural, is in Timisoara, Romania. After painting part of the National Theatre building, they coloured one of the sides of the highest building in the city, you can see the mural from a long distance, all those colours stick out so much. 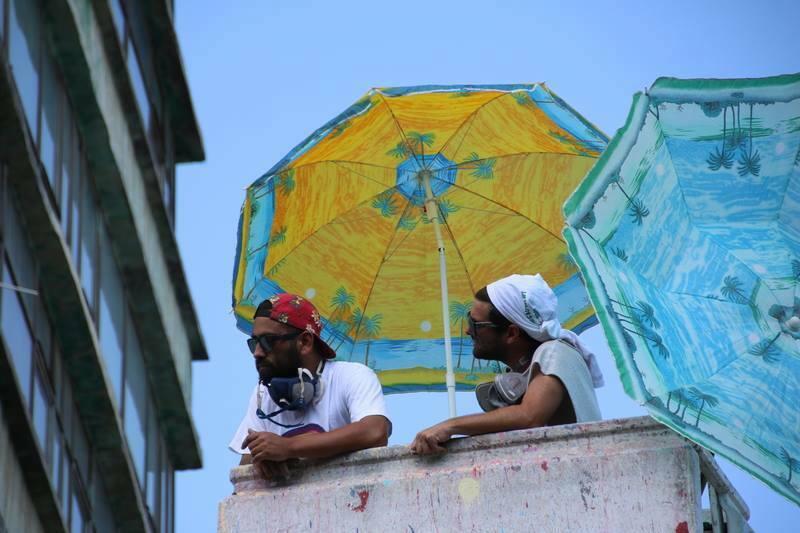 Even tho it was far to hot to be under the sun, they needed two beach umbrellas and many litres of water, to be able to finish their piece, as a result, another amazing mural full of colour and perspective. Close up of the mural by Txemy & Muro, Timisoara 2015. Close up of their final piece, Timisoara, Romania 2015. 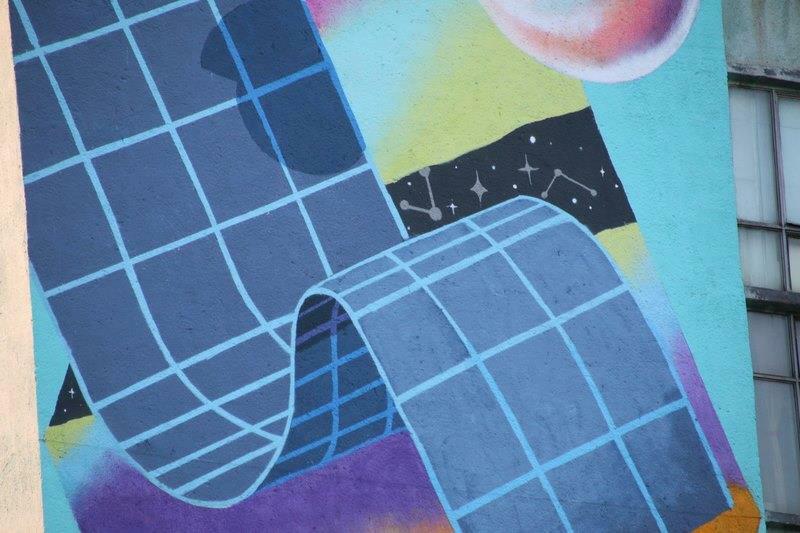 Detail of the mural, Timisoara 2015. Final piece, Timisoara 2015. Romania. Txemy and Muro's mural from the distance, Timisoara 2015.